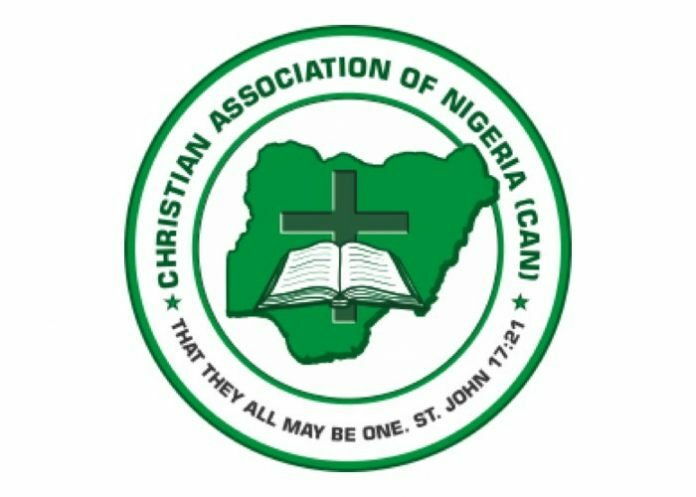 Christian Association of Nigerian has said it would be compelled to make it a law for any Christian believer to produce his or her own voter’s card before being allowed to attend any mass or service. The Chairman, Plateau State chapter of the CAN, Rev. Soja Bewarang, gave this hint on Saturday at the third annual Plateau State prayer day organized by the state CAN in conjunction with the Plateau State Government. The prayer session, with the theme: “Endless Love Of Christ Brings Unity,” had its Bible passage from John 15: 12-14. Bewarang expressed dismay over the lack of unity among Christians, saying political or denominations’ differences between Christians remains the impediment of the progress of the Christian faith in Nigeria. He however charged Plateau State Christians to shun such sentiments and love one another for the progress and development of the state, adding that the church as a body would be compelled to take stringent measures against any member that fails to obtain a voters’ card to exercise his or her civic responsibility in future elections in the country. According to Lalong: “Don’t go on using Facebook to backbite my government and don’t listen to voices of enemies who instigate crisis to tear the unity of the state. Lalong told CAN that there are challenges of understanding the issues of grazing reserves and ranching, but for the sake of posterity, there was the clarification of the current position and intentions of the government on the matter. He said grazing reserves are simply tracks of land acquired, developed and reserved or set aside for farmers or nomads to use in grazing their livestock or domesticated animals, while ranch or livestock production centre is a plot or piece of land dedicated to raising any livestock within a large area or even at a backyard. The Governor lamented that but for the propaganda by some people who have chosen to politicize the issue, his government has never initiated the establishment or creation of grazing reserves. According to him, the inherited April 2009 gazette made by former Governor Jonah David Jang, which recognized and established grazing reserves in Plateau State, and as well approved budgetary allocations to effect the development, is being peddled to blackmail him. Lalong added that his administration didn’t embrace the concept of grazing reserves as solution to abating the series of clashes in view of the fact that in this 21st century and modern times, they are outdated, unacceptable and recurrent recipe for crises as being witnessing. On his part, the Catholic Archbishop of Jos, Most Rev. Ignatius A. Kaigama, commended Lalong and CAN for organizing the prayer session, saying the event has helped the Governor in clearing the air on fundamental issues disturbing the minds of the people. Kaigama then prayed to God to heal Plateau land and comfort those who lost their loved ones in the recent attacks in the state.